The University of Virginia's College at Wise received a A. The Princeton Review's ranking of 3 out of 10 of Colleges: Top 10 Best Value Public Colleges was a major contributor to this grade. The University of Virginia's College at Wise is college with 2291 students located in Wise, VA.
What is a typical The University of Virginia's College at Wise student like? Describe the type of person that should attend The University of Virginia's College at Wise. I think that really down to earth, loving, and intelligent people would be the typical person that would attend UVA at wise. What are the top 3 reasons someone should attend The University of Virginia's College at Wise? The home like feeling. With small classes it makes students feel more comfortable! It also allows for more one on one teaching. I also love that it is a small college and I know almost everyone on the campus! What was a typical The University of Virginia's College at Wise student like in high school? Describe the type of person that should attend The University of Virginia's College at Wise. 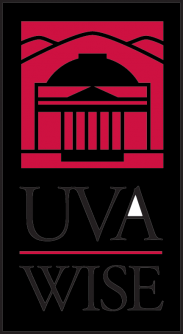 UVa-Wise is home to Virginia's only undergraduate degree program in software engineering. UVa-Wise offers 30 majors, 32 minors, seven pre-professional programs and 24 teaching licensures. For several consecutive years, students at UVa-Wise have graduated with the lowest debt load of any public liberal arts college in the nation, according to U.S. News and World Report. UVa-Wise has been selected for inclusion in "Colleges of Distinction," which recognizes institutions for engaged students, great teaching, vibrant communities and successful outcomes. What are the top 3 things that students do for fun at The University of Virginia's College at Wise? They do outdoors stuff like hiking and camping. They also join a large variety of clubs and interact with each other. They also go to the movie theater near by and the drive in theater near by. Campus housing is available for undergraduates. Housing deposit : $150.00. Housing deposit due : May 1. Freshman allowed to have car. No pets. 19% of students graduated in the top quarter of their class. The average student pays $10,914 for tuition, fees, and other expenses, after grants and scholarships. Total stated tuition is $4,676, in-state and on-campus, before financial aid. Learn more about financial aid at https://www.uvawise.edu/financialaid/. Estimate the net price for you at http://www.uvawise.edu/financialaid/net_price_calculator. The University of Virginia's College at Wise participates in the NAIA Division II for college athletics. Want more info about The University of Virginia's College at Wise? Get free advice from education experts and Noodle community members.